Every cent that you give the Marie Keating Foundation makes a huge difference in helping us to achieve our mission of making cancer less frightening by enlightening. We can’t continue without your help. There are lots of ways that you can fundraise we’ll be with you every step of the way, giving you support, advice, and promotional materials to help you make your activity a success. Whether you want to run a 5km, hold a Girls Night In, do a parachute jump, do a bag pack or come up with your own event, we’re here to help! So check out the list of fundraising events/ideas below and let the fun begin! 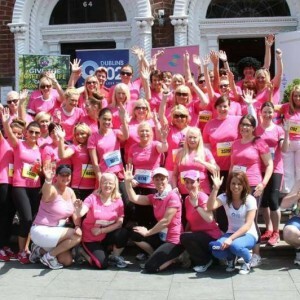 If you have your own unique idea, contact Fiona at fsullivan@mariekeating.ie or call her on (01) 628 3726. If are holding an event or are taking part in a challenge for MKF and would like to fund raise online, please click here to learn about our partnership with JustGiving.